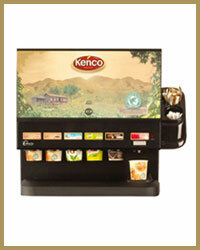 The Darenth Minicup Flex is cost effective and an exceptionally user friendly table top hot drinks vending system. 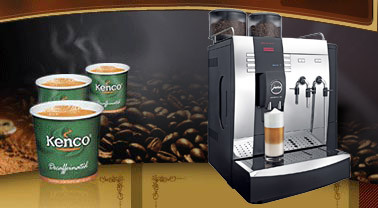 Using the Kenco In Cup range of products this machine guarantees consistent drink quality as well as requiring very little daily maintenance. There are a number of optional extras available for the Minicup Flex including a coin pod, an internal sugar dispenser and a cabinet for it to sit on (making the machine into a floor standing system). The Minicup Flex is also compatible with tokens and the Darenth I Key payment system. Also available is an optional side mounted storage system for sugar sticks, stirrers and milk pots. This system is a simple and easy to use option suitable for many different environments including garages, small offices, and factories. It is ideal in scenarios where there isn't the manpower to perform a lot of daily maintenance routines on the machine. 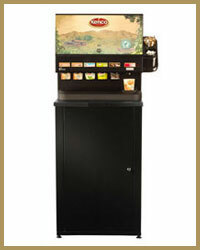 We supply this coffee vending machine, as well as all the service back up that you may require, across London, Buckinghamshire, Berkshire and Hertfordshire. 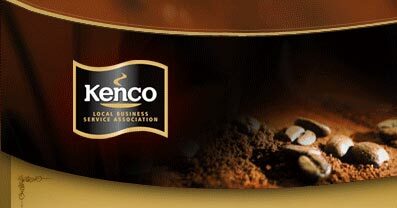 We stock the full range of Kenco In Cup products for use in this system as well as offering speedy and free delivery across the region. As with all of the equipment that we supply rental, lease and purchase options are available.